You won’t realize how much sparkle your jewelry has lost until you have it professionally cleaned and polished. In addition to regular cleaning, you should also have your jewelry inspected from time to time to make sure that everything is secure and nothing is damaged. While diamonds are forever, jewelry does need to be fixed from time to time. 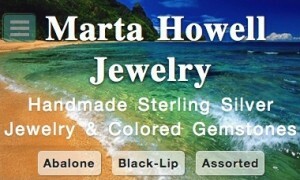 We specialize in the repair of both custom and mass produced jewelry. Repairing a broken chain, sizing a ring, or a complete restoration of your heirloom is something we take seriously. We understand how precious and sentimental your items are to you. The care given to your piece of jewelry is a prime concern to us. All repairs are done in house and are usually are completed within 10 days. We feel an appraisal is a valuable opinion about the authenticity, quality, design, and value of you fine piece of jewelry. We understand how much your jewelry means to you. Protect your investments by having them properly insured. We are happy to assist you with inspection and appraisal services.